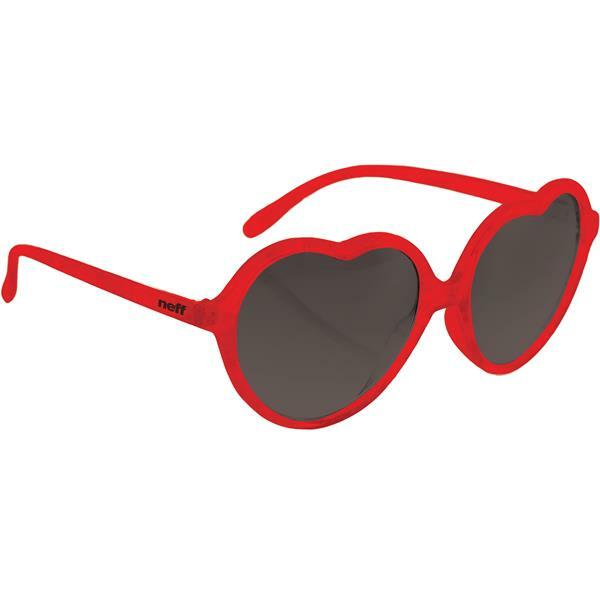 Add some heartwarming fashion to your face with Womens Neff Luv Sunglasses. Featuring an oversized frame and lenses shaped like hearts, you'll have people wondering if you raided Kim Kardashian's closet every time you step out of the house. And not only will they lead people to think you're a Hollywood celeb going incognito, you'll see better as well thanks to their tinted acrylic lenses protecting you from the sun's brightness. And, if you're the prescription eyewear type, you can easily have any talented optician replace the lenses with your own script. My handicapped sister loves sunglasses. She will be thrilled with heart shape.